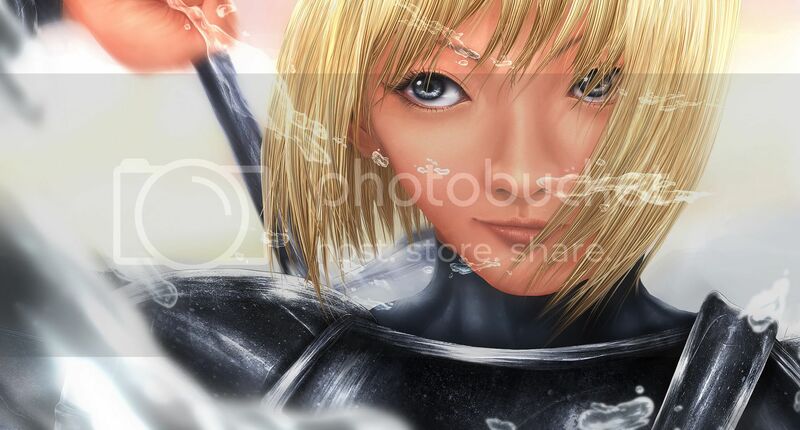 This is my painting of fan art for the anime/manga named Claymore by Norihiro Yagi. 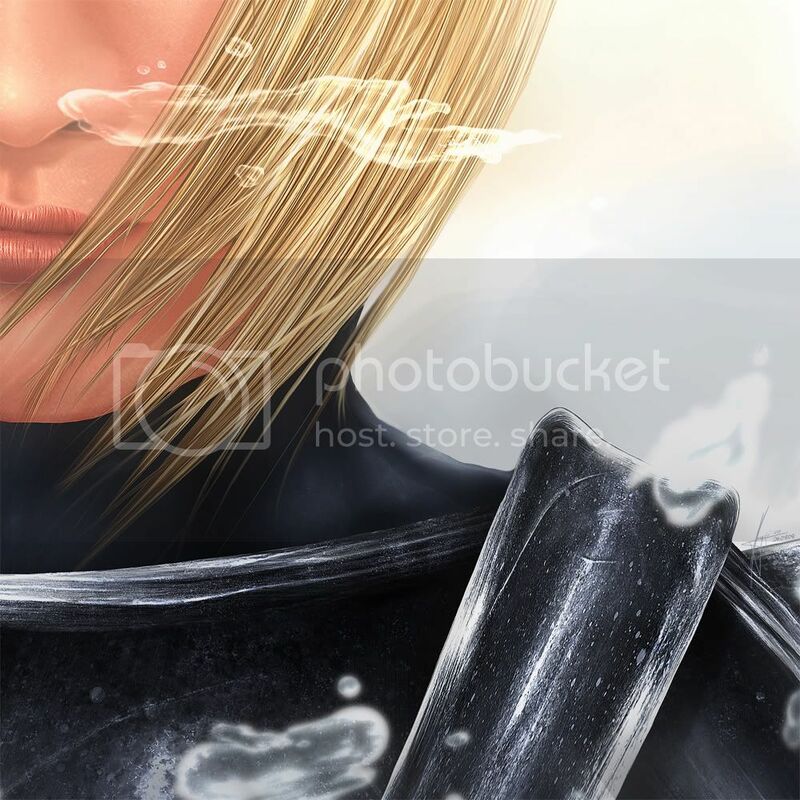 I portrayed Clare, the main protagonist of Claymore in a place where she is free from yoma (demons), free of bloodshed, and free from the sad life she had. Even her silver eyes have grown livelier, as this is the only place Clare is at peace with herself. She is a person who has always been too serious because there are too many things in life that she cannot let go of, but now we know that at least here, in her dreams, she will be happy. 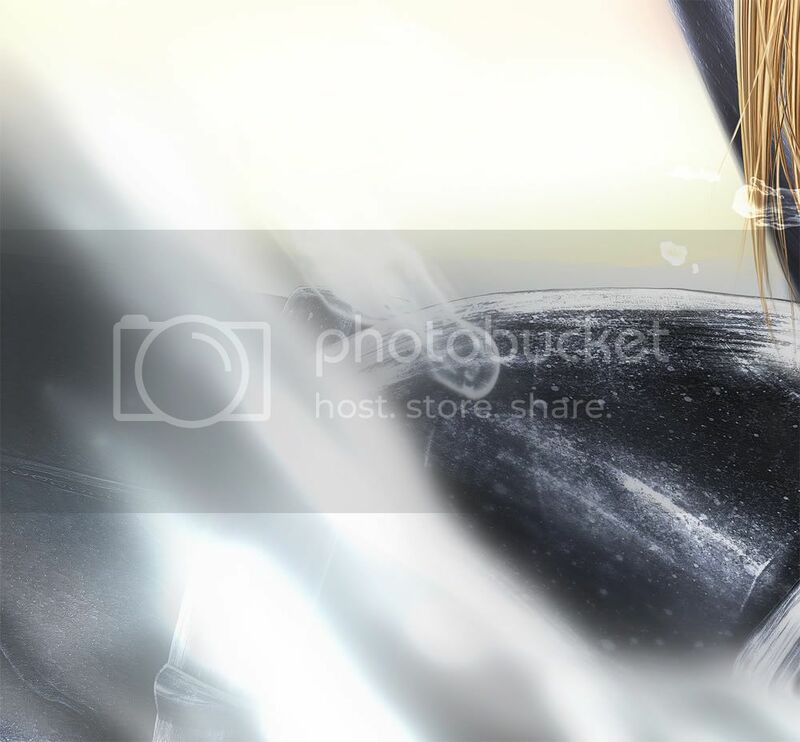 The water droplets and splashes are used to show the “pure”, and this is actually in contrast to the otherwise blood splashes; which are usually associated with claymore in the manga. Done in Adobe Photoshop CS 3, wacom tablet, W5514 X H2960 resolution. Reference from the anime and manga was used. Frankly I had encountered countless of problems while creating this. I got carried away attempting to create a realistic combined with anime look, which was quite problematic for me. Luckily I get comments from my brother and friends and I learned too. I’m not sure if I get it right ornot, but I’ve done the best I could. Hope you’ll like it too. Comments and Critques are welcomed.